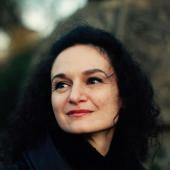 Described by the New York Concert Review as a “unique musical personality” and a pianist with a “golden tone,” Victoria Tzotzkova has performed widely, notably at Carnegie Hall’s Weill Recital Hall, The Miller Theater, and The Iridium in New York City, as well as other venues in the US, Canada, the UK, France, Germany, Switzerland, and her native Bulgaria. Also a devoted chamber musician, Victoria is a co-founder of the ClassicArt Ensemble with the Sofia Philharmonic. Growing up, Victoria studied at the National Music School in Sofia, performing regularly and making several recordings for the National Television and Radio. She later continued her studies at the Manhattan School of Music with Ms. Rosetta Goodkind, and has also worked with Alexis Weissenberg, Philippe Entremont, Philippe Bianconi, Emile Naoumoff, Herre-Jan Stegenga, Jacob Lateiner, Peter Takacs, Patricia Zander. Raised in classical performance traditions, Victoria now also works with improvisation in Romantic and contemporary idioms, performs new music, and works on collaborative performance and research projects. Victoria holds a PhD in music theory from Columbia University, where her principal advisor was Professor George E. Lewis. Her doctoral dissertation, Theorizing Pianistic Experience: Tradition, Instrument, Performer, focuses on sound production in classical piano performance, drawing on ethnographic theory and methods, psycho-acoustics and sound studies, and theoretical and experimental research in embodied cognition. She has received support from the Council for the Arts at the Massachusetts Institute of Technology, the Mind/Brain/Behavior Initiative at Harvard University, and Columbia University’s Reid Hall Institute for Scholars in Paris, France, and presented her work at different forums, including Columbia University, Harvard University, Indiana University, the Eastman School of Music in the US, Cambridge University, the Royal College of Music, London, the Norwegian Academy of Music, Oslo, and the Orpheus Institute, Ghent, Belgium. A lover of harmony and analysis from an early age, Victoria studied in the Nadia Boulanger tradition at the European American Musical Alliance in Paris, the Naoumoff Piano Academy in Gargenville, and the American Conservatory at Fontainebleau, France. She is now a devoted keyboard harmony coach, and works on Romantic preluding practices as both embodied research and a teaching curriculum.